Today only Home Depot is offering up to 40% off Select Garage Storage and Flooring! Shipping is FREE on this offer. I am loving this Husky 72 in. H x 46 in. W x 24 in. 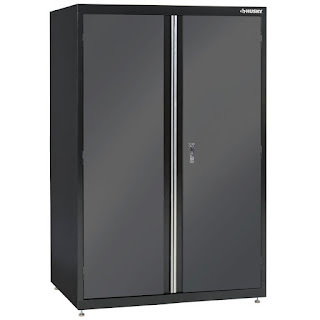 D Welded Steel Floor Cabinet in Black/Gray now just $275 (Reg. $456.14)!